The Bees Act 1980 (citation 1980 c.12) is an Act of the Parliament of the United Kingdom. An Act to make new provision for the control of pests and diseases affecting bees. 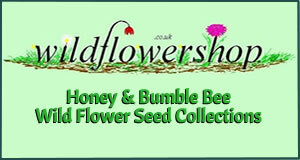 It seeks to stop the damage caused by diseases, chemicals and pests that damage the wellbeing of bees. It repealed the Agriculture (Miscellaneous Provisions) Act 1941. The Minister for Agriculture, Fisheries and Food (now the Department for Environment, Food and Rural Affairs), along with the Secretary of State for Scotland and the Secretary of State for Wales must convene in the case of any threat posed to bees in Britain by diseases or pests and enact the powers granted to them in this legislation. 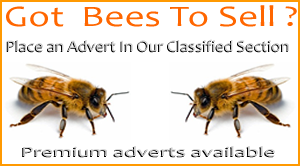 If all three decide that a threat is posed to the health of bees, they may prohibit the transportation into or around the United Kingdom of bees, honeycomb, beehives or anything connected with beekeeping. They may appoint any person (in writing) they choose to seize and examine bees for disease. Any bees found to be diseased may be destroyed if the inspector sees fit. Bees or related equipment imported into Britain may also be destroyed at the discretion of government officials. No compensation is available for those whose bees are destroyed. Any expenses incurred during this process were to be compensated by Parliament. Power of forced entry was also given to officials who suspect diseased bees to be on the premises (“any premises or other place, or any vessel, boat, hovercraft, aircraft or other vehicle”). It was made an offence to transport bees into or around Britain while the Act was in force – either by importing them, or by failing to cooperate with government orders. A maximum fine of £1,000 was introduced for committing this offence. Any person who refused government officials entry to any premises or other place, or any vessel, boat, hovercraft, aircraft or other vehicle which was suspected to harbour diseased bees was to be charged with obstruction of justice and fined up to £200. The Act does not extend to Northern Ireland.